There is nothing more important than family. We work our entire lives to provide for our families, and it brings us a great sense of accomplishment and pride to do so. However, far too many of us fail to think about what will happen to our children, spouse, and parents if something unexpected happens to us. Without airtight estate planning documents and a plan for long-term care should it be needed, you leave yourself open to the possibility of losing your assets and leaving nothing behind for your children and grandchildren. My family worked hard for what they had and instilled a strong work ethic in me. It was heartbreaking for me to watch my own grandparents lose most of their life savings to a nursing home when they needed long-term care. That was the moment I decided to focus my legal practice on estate planning and elder law. I am committed to helping individuals and families protect their assets, provide for their loved ones, and gain access to the long-term care they may need one day. Based on your assets and your wishes for protecting your family, I will develop a custom plan with tailor-made documents to meet your unique needs. No one wants to pay estate taxes. But most people don't know what the estate tax is, and if it affects them. The answers are in our legal guide. Learn What a Power of Attorney is, and Why You Might Need It. Attorney's HATE that we give out this information. 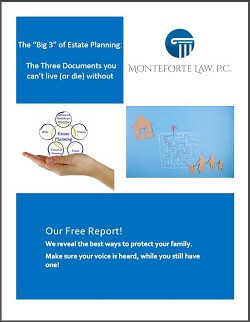 Here's how to probate an estate without a lawyer. Michael gives step by step instructions. 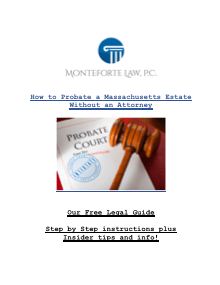 Can you probate an estate yourself? Do you even need a lawyer? Michael explains when and how to probate an estate without an attorney. Shhh..Top Secret Information Ahead. Estate Lawyers don't like us to give out this info, so let's keep it between us. How do you find a good probate and estate attorney? 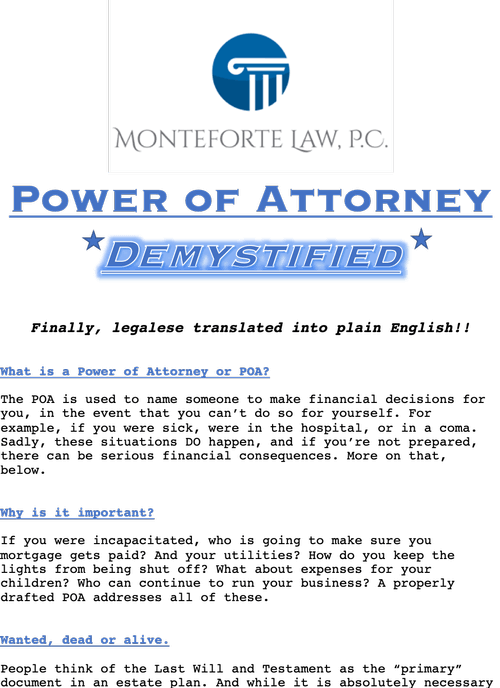 Attorney Michael Monteforte shares information designed to help you find the right lawyer. Do you even need an estate plan? 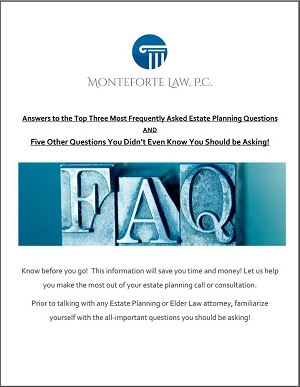 And if so, what is an estate plan anyway? Avoid the most common pitfalls that can lead to a disaster for your family.